Vietnam will join with other ASEAN countries in reshaping tourism through smoke-free environments through promoting education on tobacco prevention at schools, proposing a higher tax rate on cigarettes, raising serious reports on smoking-related diseases and imposing strict punishments on violations in smoke-free areas. 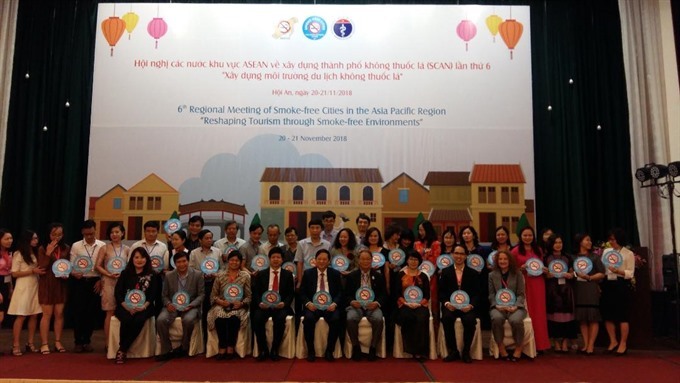 The committment was voiced in the Smoke-free Cities ASEAN Network (SCAN) convened the sixth regional meeting in Hoi An city, the Central province of Quang Nam, on November 20. The meeting, entitled ‘Reshaping tourism through smoke-free environments,’ was attended by more than 100 foreign delegates from smoke-free tourism cities of Thailand, Laos, Cambodia, Indonesia, Myanmar, Malaysia, the Philippines, China and Mongolia. It also saw the presence of the Fund for Tobacco Harms Prevention and Control of the Vietnamese Ministry of Health, the Southeast Asia Tobacco Control Alliance and the World Health Organization (WHO) Western Pacific Regional Office. Speaking at the meeting, Vice director of the medical service administration Nguyễn Trọng Khoa said Vietnam would take stronger actions on smoking violations at public sites and adjust tax policy on tobacco production and trade to reduce smoking in the community. According to the health expert,Vietnam was the 47th country among 174 countries ratifying the World Health Organisation (WHO)’s Framework Convention on Tobacco control (WHO FCTC), and the National Assembly of Vietnam issued laws on tobacco prevention in 2013.. He noted that the Vietnamese Government’s actions had achieved good results and changes among the community in raising awareness of the harmful impacts of smoking. “The number of male smokers has been reduced from 47.2 per cent to 45.3 per cent, while second-hand smoke in restaurants also decreased,” he said. “The ratio of smokers in universities and public transport vehicles also dropped to16.4 per cent and 15 per cent, respectively,” he said, adding that smoking at workplaces also went down to 13.3 per cent. Khoa said the ministry of health would submit a request to the government to institute a higher tax on tobacco and punish smoking at public sites. Dr. Ulysses Dorotheo, executive director of the Southeast Asia Tobacco Control Alliance (SEATCA), said smoking pollutes the environment through discarded cigarette butts, while smoke-free tourism would promote health. He suggested the government of Vietnam should divest state funds from tobacco manufacturing plants to reduce tobacco production. According to Dr. Dorotheo, the most difficult challenge facing Vietnam in building smoke-free cities is educating more people and raising awareness on tobacco. He emphasised that people should be educated that smoking is not only harmful to their health, but also to people nearby. Deputy Minister of Health Nguyễn Viết Tiến, member of the management council of the Fund for Tobacco Harms Prevention and Control, affirmed Vietnamese Government's commitment to strong controls on tobacco and to reducing the number of smokers. 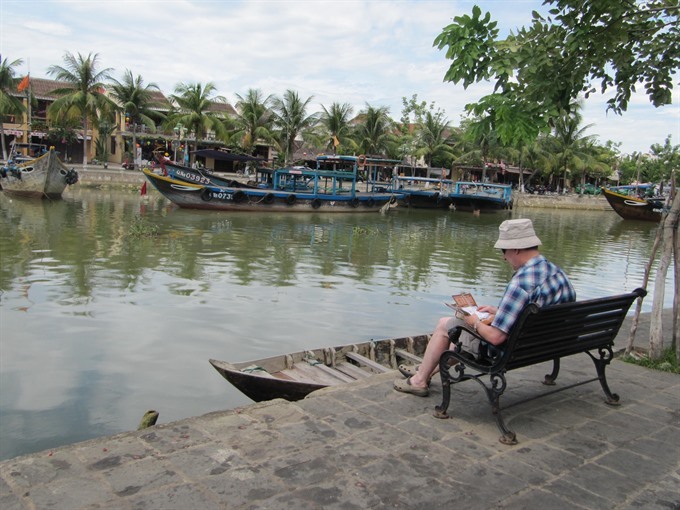 He emphasized the building of smoke-free tourism cities began in Hoi An city in 2009, and it has been expanded to some other cities like Ha Long, Hue, Nha Trang, and Hai Phong. Activities to promote smoke-free cities have also been carried out at cultural, sports and tourism events, including the Asian Beach Games in Da Nang city, the Do Temple Festival in Bac Ninh province, or the Vietnam-Japan cultural exchange in Hoi An. According to WHO, while progress has been made in tobacco control, more efforts are needed on anti-tobacco measures and the reduction of deaths related to smoking in Việt Nam. According to the anti-smoking harms fund’s report on the use of cigarettes among adults in Vietnam in 2016, efforts in the work have initially proved effective. The smoking rate dropped from 47.4 per cent to 45.3 per cent among men and from 1.4 per cent to 1.1 per cent among women. The number of smokers is still high, with 45.3 per cent of men smoking cigarettes. As part of a recent survey, 80 per cent of people said they had seen smokers at restaurants and in public. About 170,000 Vietnamese people died of cardiovascular diseases, stroke and non-communicable diseases, 33 per cent of which were related to smoking, a WHO report showed. The tax on tobacco in Vietnam is still low at 35 per cent, in comparison with an average of 56 per cent worldwide. WHO recommends a tax of 70 per cent. In the world, tobacco kills seven million people each year, according to the WHO. The rate of exposure to secondhand smoke reduced considerably from 2010, from 84.9 per cent to 80.7 per cent at restaurants, from 55.9 per cent to 42.6 per cent at workplaces, from 54.3 per cent to 37.9 per cent at universities and colleges, and from 34.4 per cent to 19.4 per cent on public transport vehicles./.